At the start of February YASA’s new Oxford production facility in Kidlington, Oxfordshire was officially opened by the Secretary of State for Business, Energy and Industrial Strategy, the Rt Hon Greg Clark MP. The opening follows the signing of long-term development and supply agreements with customers in the automotive sector and a further investment of £15 million in growth funding for the company, and the facility will ultimately have a production capacity of 100,000 units per annum. The opening event and tour was hosted by YASA’ CEO Dr Chris Harris, Founder and Technical Director, Dr Tim Woolmer and COO Andy Court. 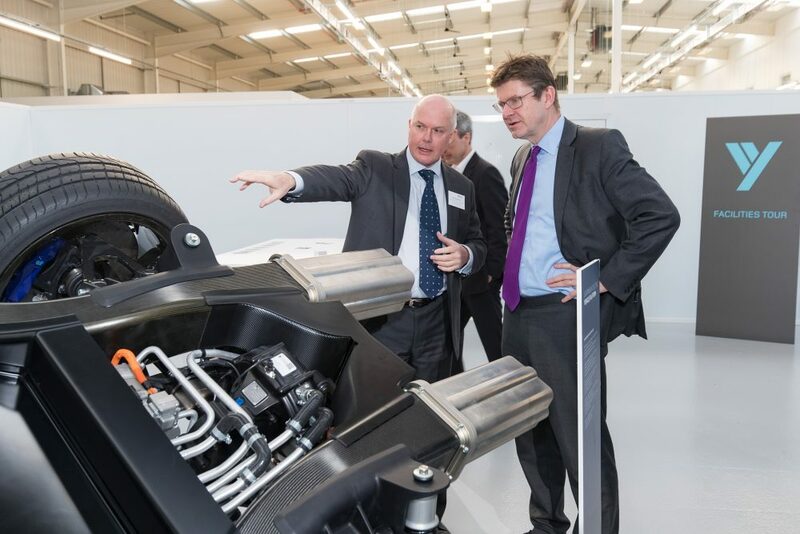 Adrian Moore Xtrac’s CEO toured the facility with the Rt Hon Greg Clark MP along with other luminaries such as Ian Constance CEO of the Advanced Propulsion Centre and Adrian Went the Managing Director of Griffon Hoverworks. 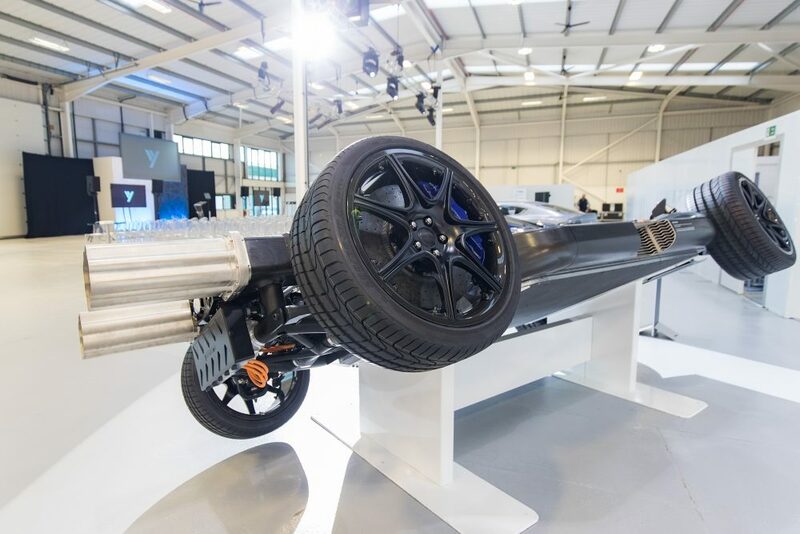 A range of YASA-powered vehicles were on display at the event, including cars from Nissan, Jaguar Land Rover and Williams Advanced Engineering of which several had high performance transmissions supplied by Xtrac with integrated YASA axial-flux electric motors. Xtrac’s latest transmission to be designed with innovative integrated YASA P400 electric motors is the P1227 Integrated Lightweight Electric Vehicle (ILEV) transmission which is designed up to a maximum peak torque input per motor of 500Nm. This transmission and electric motor combination has been selected by several high performance vehicle manufacturers for test and development vehicles as the move to an EV future becomes ever closer. Graig Wilson (WAE) Discussing The FW-EVX With Gregg Clark MP. Williams FW-EVX Lightweight Electric Car Platform.